← Is it a Place for Birds, or for Planes? It’s Floyd Bennett Field! “Please look closely at real cities. While you are looking, you might as well also listen, linger and think about what you see.” Jane Jacobs, The Death and Life of Great American Cities. I was idling at the traffic light near the Waldbaums’ plaza in Rockaway Park last week. I casually gazed out my car window toward the Wendy’s Restaurant. There, growing on the median strip, were two tomato bushes (with several good-sized green fruits hanging on them). I did a double take, then grabbed my camera and snapped a photo. I came back the following day, figuring I might have been hallucinating. There they were, amid the weeds, almost covered by a rolled-up piece of wooden fence. 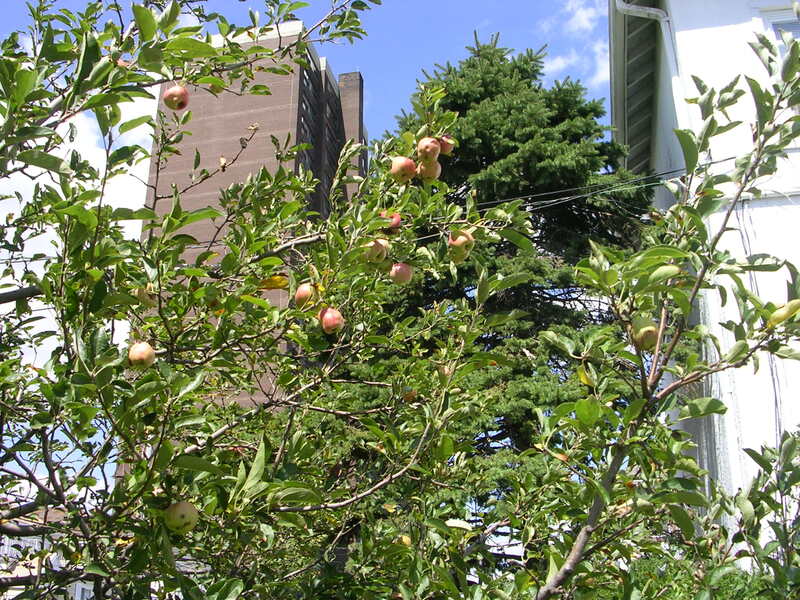 Two summers ago, I noticed a small tree lush with ripe red apples, sprouting out of a driveway tree pit no more than 2 feet in diameter, at a home on Beach Channel Drive just east of the McDonald’s Restaurant in Rockaway Beach. 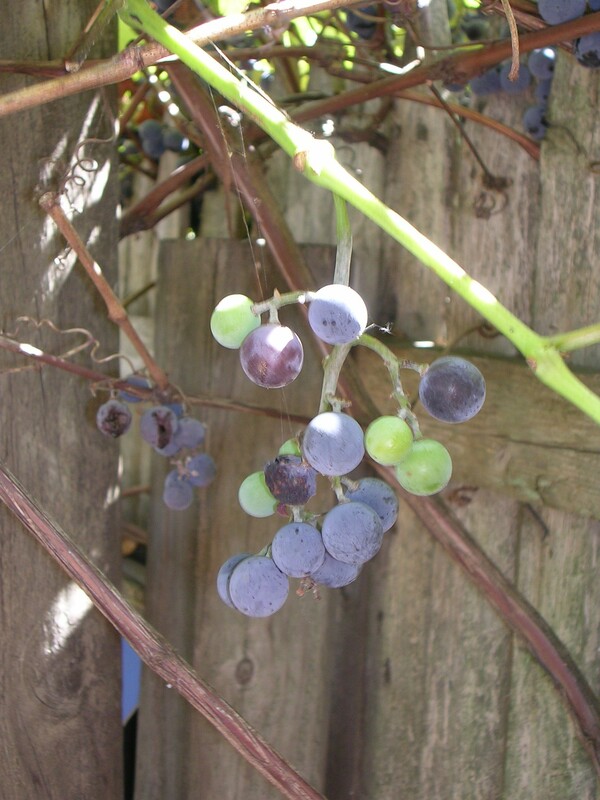 Last summer, I was amazed to see gorgeous vines of purple grapes twining along the fence of the Seagirt Community Garden in Far Rockaway. Nearby, the tall building at Beach 31 Street and Seagirt towers over apple and fig trees. 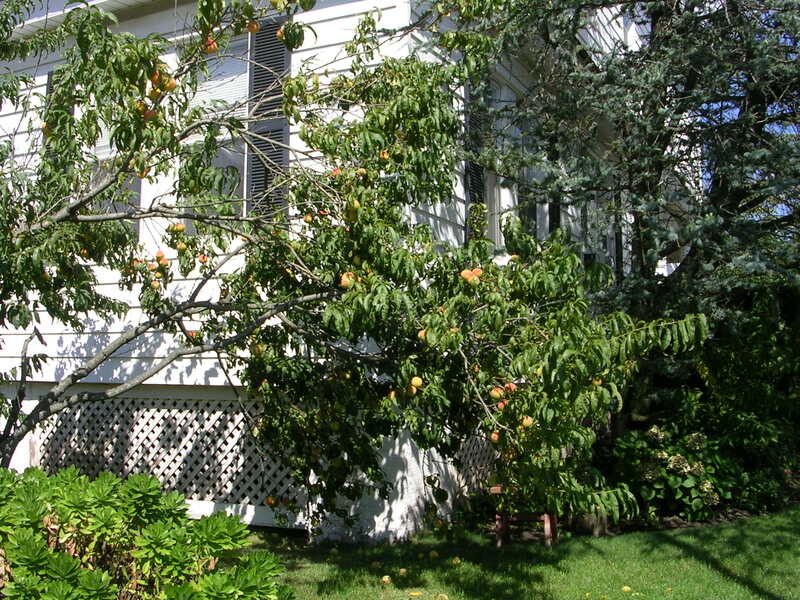 Fruit trees are all over the peninsula–in front yards, back yards, and community garden plots from east to west, if you just linger and look closely. If you don’t look closely, you’re far more likely to notice the McDonald’s or the Wendy’s. The presence of these edible curiosities conflicted with what I had recently been reading in a new publication about Queens, styled as a “local” food guide. The magazine, just in its inaugural year, has joined a long list of big city organizations and publications that consistently misrepresent or ignore the peninsula. Our farmers’ markets and community-supported agriculture project were left out of directory listings in that guide on more than one occasion over the past year. But don’t get me wrong. It’s fine reading if you are planning to dine out in Long Island City or Astoria. But a feature article did notice the peninsula when there was a negative statement to be made: “Rockaway’s a food desert,” declared a popular new seasonal restaurateur. (Should we call him a “shack-arateur” instead?) A food desert is defined by Wikipedia as “a district with little or no access to foods needed to maintain a healthy diet, but often served by plenty of fast food restaurants.” Thank goodness we have Wiki to explain it all. I don’t like the term “food desert” or the way it is defined. I have counted about 10 local supermarkets, averaging out to about 12,000 shoppers per market, based on recent census figures. To be completely honest, the peninsula is woefully underserved by greenmarkets, grocery stores, AND fast food chain restaurants. More than one person has said—wouldn’t it be nice to have an IHOP, a Burger King, and a Boston Market? How about a classic, low-brow eatery like Chock Full O’ Nuts on Beach 116 Street? Seems like there are less then 10 fast-food chain places, if you count McDonald’s, Wendy’s, KFC, White Castle, and Popeye’s. Am I missing any? Belle Harbor Peaches--Home on Rockaway Beach Blvd. Everyone is looking forward to the Super Stop & Shop opening soon, and will, no doubt, regularly patronize any other quality fast food stores to arrive. But is Rockaway truly a food desert? 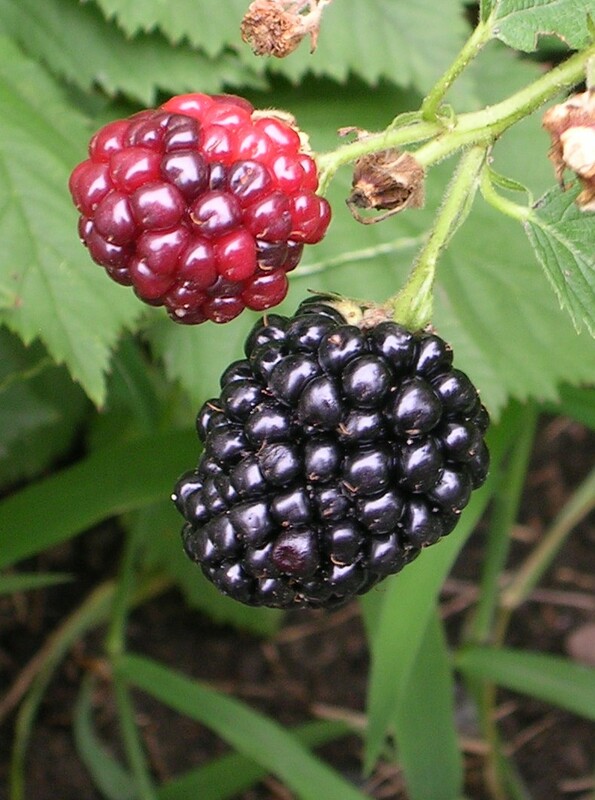 What about the density of backyard vegetable gardens and front-yard fruit trees? Is anybody measuring those? There is a reason that thousands of local Rockaway farmers are blessed by success—the great Atlantic Ocean. The ocean holds the heat of summer far into the fall, and all of Long Island (including our piece here in Rockaway) is categorized as Zone 7 by the U.S. Department of Agriculture. The average night-time temperatures on the Rock (and hence, the growing conditions) are identical to North Carolina’s. 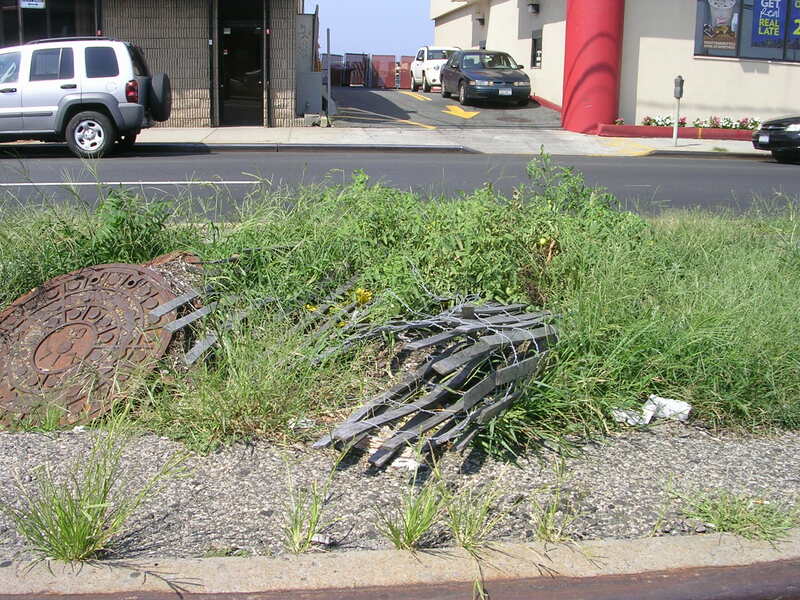 If that plant growing across from Wendy’s remains intact, and the fall does not become unseasonably cold, someone could be picking those cherry tomatoes and putting them in a salad on Halloween. If they were in a protected backyard plot, they might make it to Thanksgiving. We really must look, listen, linger and think about what we see in our neighborhood–what we have and do not have. Our tomato bushes and fruit trees are not the only local features that seem to be invisible to casual weekend or daytime visitors. Some are claiming that we have no parks for the children, no marinas, no waterfront amenities. That is also not true. The entire strip of sand and water from the Nassau County line to Riis Park, 150 blocks of it, is maintained for the public by the New York City Parks and Recreation Department, complete with playgrounds, handball courts, roller hockey rink, basketball courts and a tricked-out skate park. From Beach 149th to Beach 73rd Street, no home is more than 4 blocks from that oceanfront park. How many people do you know in other parts of the city (or anywhere in the U.S., for that matter), lucky enough to live in a neighborhood where almost all of the homes are no more than 4 blocks from a public park? In my opinion, the shoreline of the bay should be made more inviting to the public, and we should have additional areas along the bay and ocean that can be enjoyed by human-powered boaters. Jill Weber of the Parks Department is working hard at the task, and beginning to succeed, with the full backing of Dorothy Lewandowski, Queens Parks Commissioner, who is an avid sailor and kayaker, and personally spearheaded the establishment of the NYC Water Trail. It is completely false to say that we don’t have boating clubs, marinas, and motorized boat launches in this area. All you have to do is look closely around you. The rim of Jamaica Bay is lined with boating clubs, marinas, and launches. In Rockaway Park, start with the wildly popular weekend hangout for jet-skiers, near Beach Channel High School. Locals know that Beach Channel had the pioneer citywide high school rowing team, dating back to the 1970’s, but it wasn’t even mentioned in a recent “WaterWire” web newsletter on rowing generated by the Metropolitan Waterfront Alliance. You would think that high school rowing was invented in the Bronx! The Rockaway Point Yacht Club has been a mecca for sailors, on the bay just outside the gate to the Breezy Point Co-op, since 1909. In Canarsie, there are four private boating clubs and two public launching sites, including Sebago Canoe Club and Canarsie Pier. In Broad Channel, there is a public launch for hand-powered boats on the north end of Cross Bay Boulevard, and a private boating club on the east side of Cross Bay Boulevard. 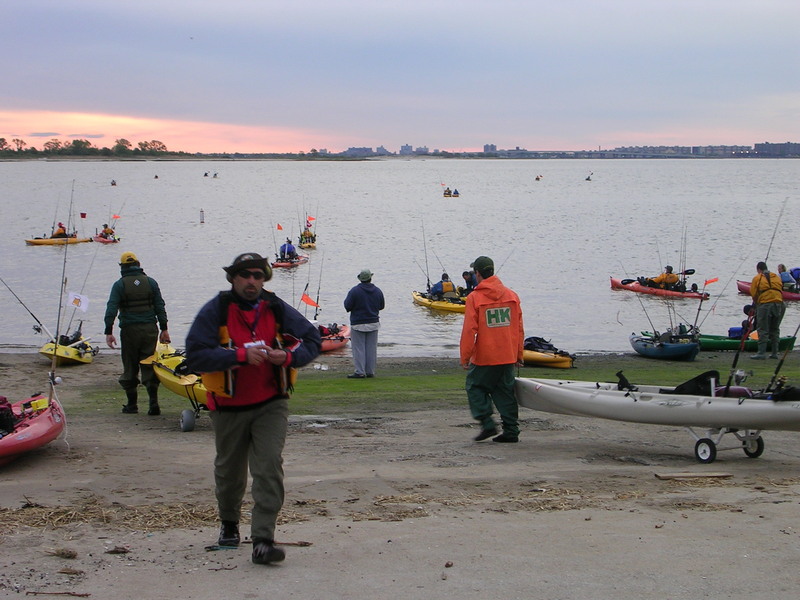 Across Flatbush Avenue from Floyd Bennett Field, the private marina operated by a concessionaire brings income to Gateway from slip rentals, and is also used by Gateway rangers to conduct canoeing and sailing programs, with the assistance of the Rockaway Point Yacht Club. There are two public launches for human-powered boats on the east end of Floyd Bennett. For six or seven years, a hugely successful charity kayak fishing tournament has been held annually on Mother’s Day at that site, and paddlers attending Sebago’s All-Club Invitational event in July 2010 also used these launches. There are two commercial marinas on the south side of Jamaica Bay–one in Rockaway Beach and one at Beach 59 Street in Edgemere. Another private boating club is tucked away near the city’s border with Nassau County in Far Rockaway. There are other marinas and boating clubs on the Brooklyn shores of Jamaica Bay, in Bergen and Gerritsen Beach, and a public launch at the Salt Marsh Nature Center on Avenue U. Everyone with a car who is interested in boating ought to drive around the rim of the bay and see what is there. Many of the clubs are interested in attracting new users to their facilities. If you have a bike, get on the Greenway with a good map. You have to follow all the dead-end roads, but you will see that waterfront access is already a reality for many. The fashionable rhetoric about reclaiming the waterfront doesn’t mention who we are reclaiming it from, and who is going to pay for the substantial cost of opening water sports up to the public. Maintaining a fleet of kayaks, canoes, sailboats and rowboats is an expensive proposition. The training and expertise to safely guide beginners requires devotion by volunteers. Otherwise, such expertise must be hired. Insurance costs for such operations are high, as well. The Rockaway Artists Alliance, Rockaway Theatre Company, Rockaway Little League, Sebago Canoe Club and Floyd Bennett Gardens Association have shown us the way. Cadres of volunteers in these organizations have become active stewards of underutilized or abandoned lots and buildings; what they have created is a gift to the public and to future generations. This doesn’t happen overnight, and it doesn’t happen on the first try by waving a magic grant application. Gateway Bike & Boathouse is trying to follow Sebago’s model and organize volunteers and establish storage facilities for boats here on the Rock, and having a hard time of it, so far. Public officials need to pay attention to what is already working in the neighborhood, and support groups trying to do more of it. The surfing beaches have been a huge success. It makes sense that a dedicated kayak launching spot on the ocean ought to be tried, as well. But brainstorming grand new plans and “visioning” in the current economic climate is like investing in windmills and solar panels to reduce your electric bill, when a couple of rolls of insulation would do the trick. 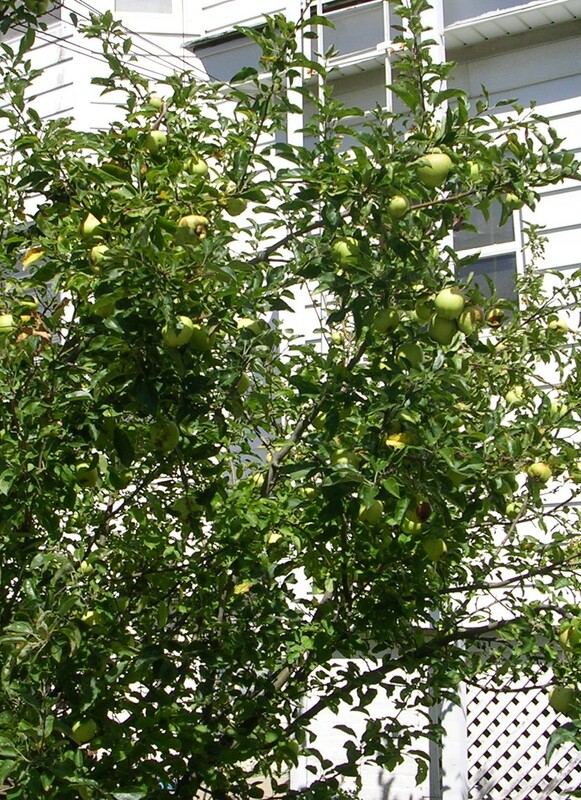 Belle Harbor Apples--Home on Rockaway Beach Blvd. Stop complaining about food deserts. 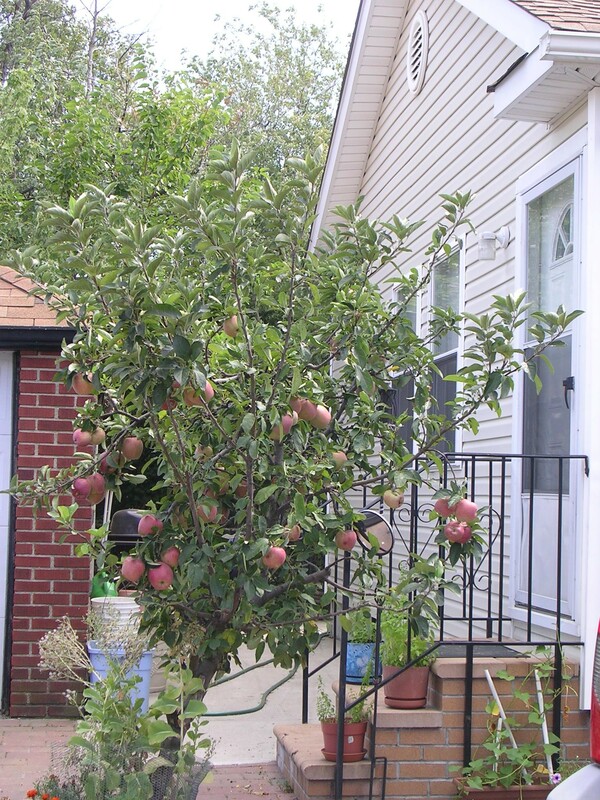 Plant a tomato bush or an apple tree. You’ll be enjoying tomatoes a few months later. The apple trees take a bit longer. And they only bear fruit every other year. 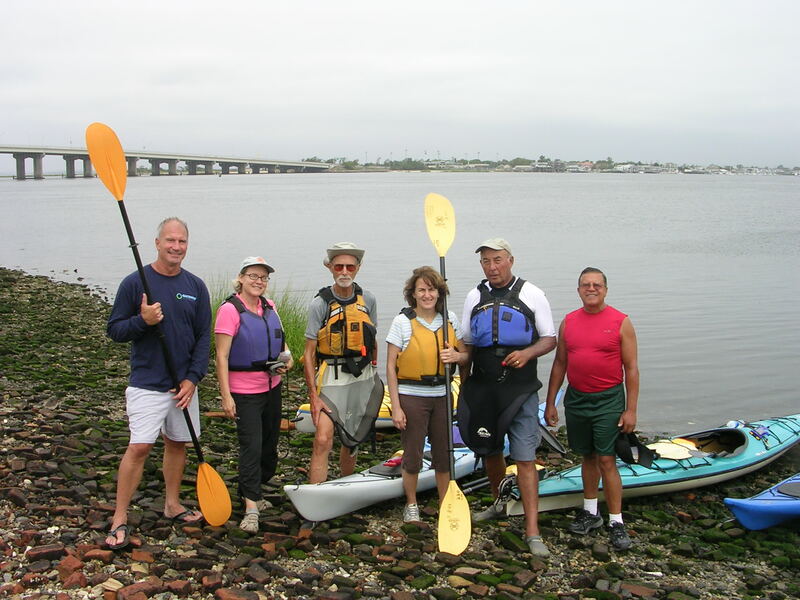 This entry was posted in Business and Economics, Local Government-Rockaway Peninsula & Broad Channel, The Land We Share, Water and waterways and tagged boating, community, food justice, Jane Jacobs, local news, NYC, NYC Parks & Recreation, recreation, Rockaway, waterfront access. Bookmark the permalink. An inspiring blog, Viv! You should send this to the New York Times. I agree that there is so much more to Rockaway than meets the inattentive eye. Thanks for reminding us with some beautifully inspiring and hope generating photos.